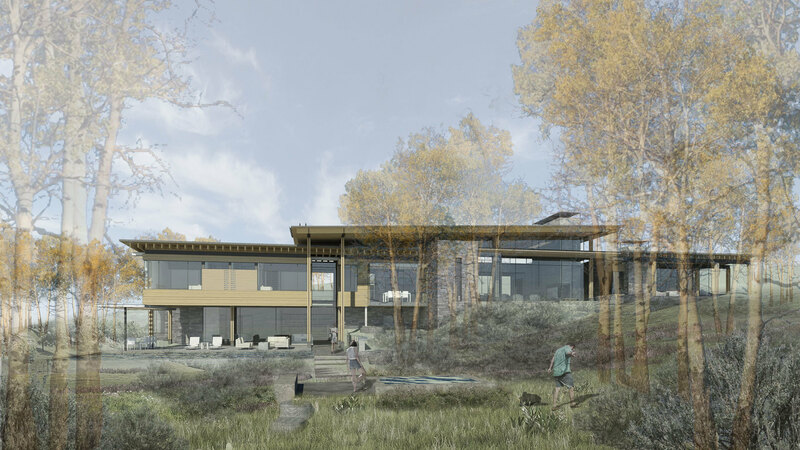 Located on a gently sloping site, this family residence is nestled within an aspen grove on the edge of a large open meadow. 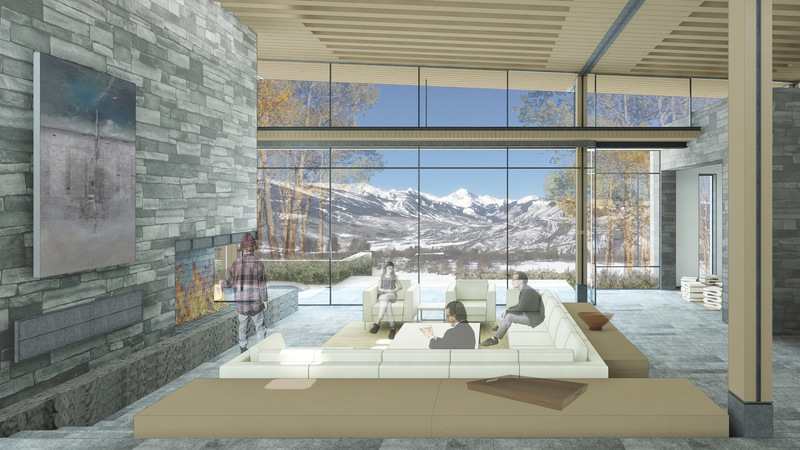 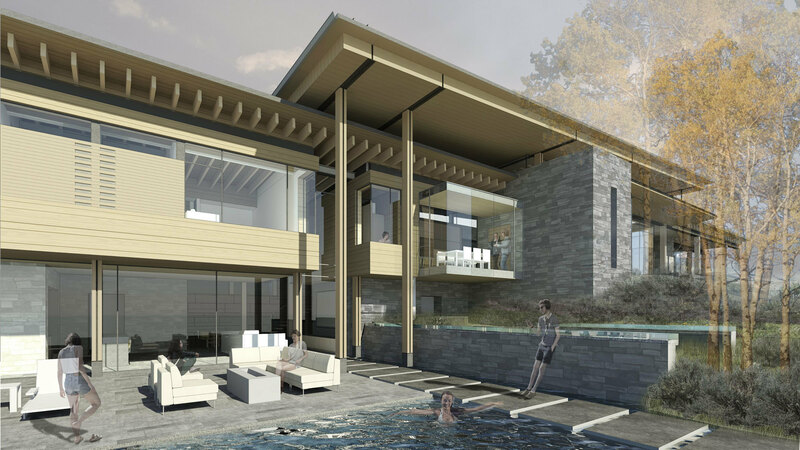 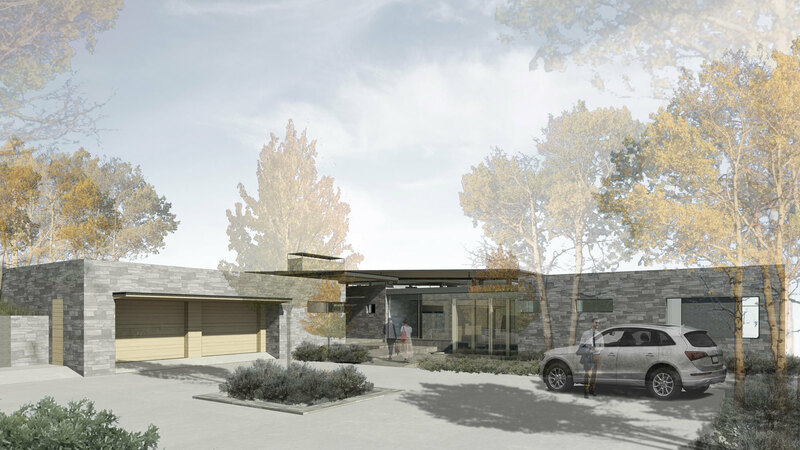 The projects placement on the site takes advantage of expansive views to the south of Colorado’s Elk Mountain Range. 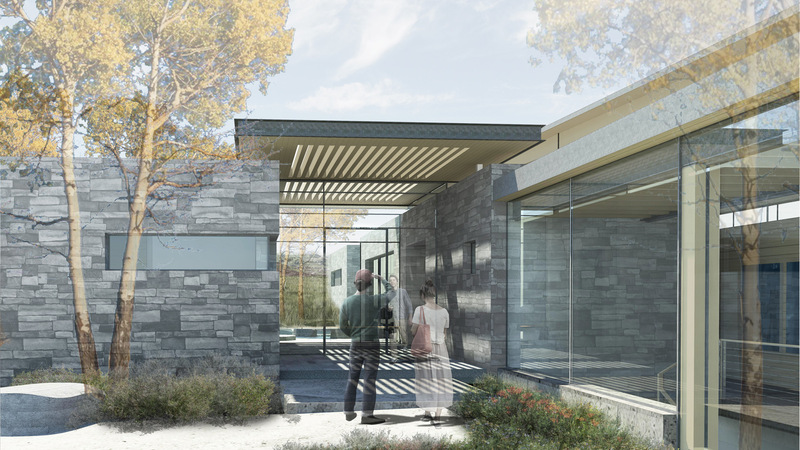 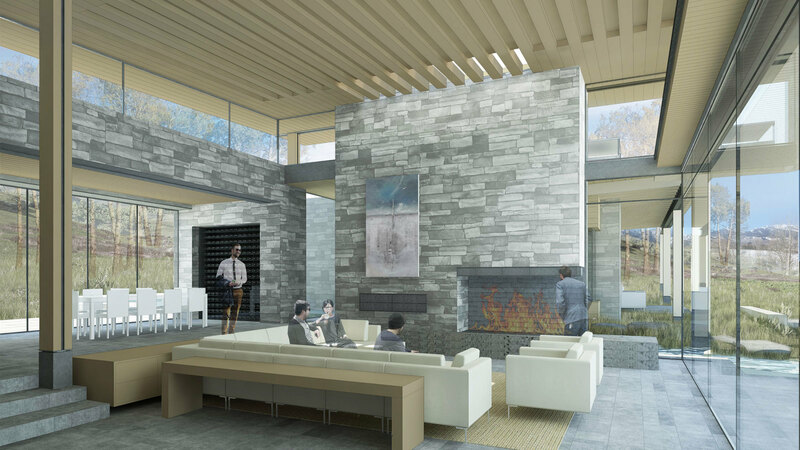 Large, operable glass walls open onto outdoor gathering spaces further connecting the main spaces to the landscape.